At the moment we are working very hard here in Governors Harbour. 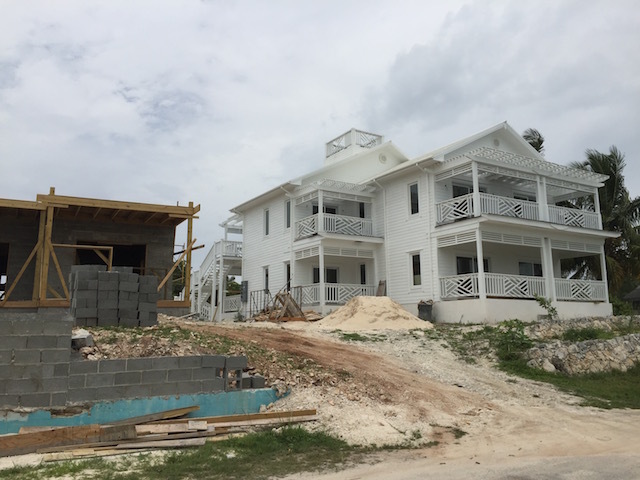 The restoration of Cornerwall House and Flora’s Cottage is going great guns. The site of the former Duck Inn is a hive of activity. 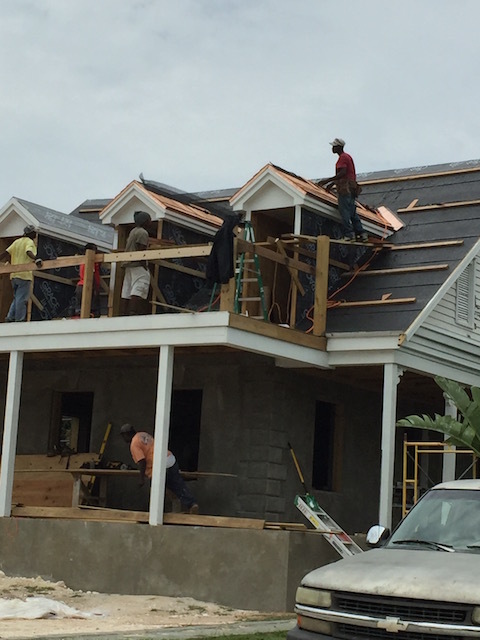 The cedar shingles are just going on to the roof at Flora’s Cottage. The swimming pool at the back of the house is looking good. Most of the wiring is done inside and the first fixing of plumbing is finished. 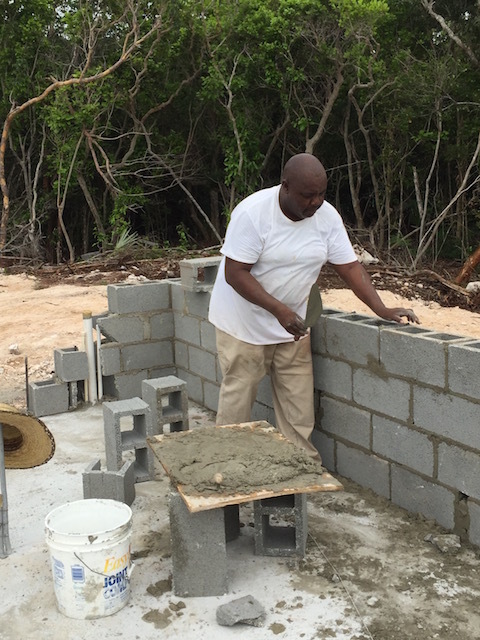 Interior layouts are finished – each of the 2 houses has 3 bedrooms each along with their own bathroom. 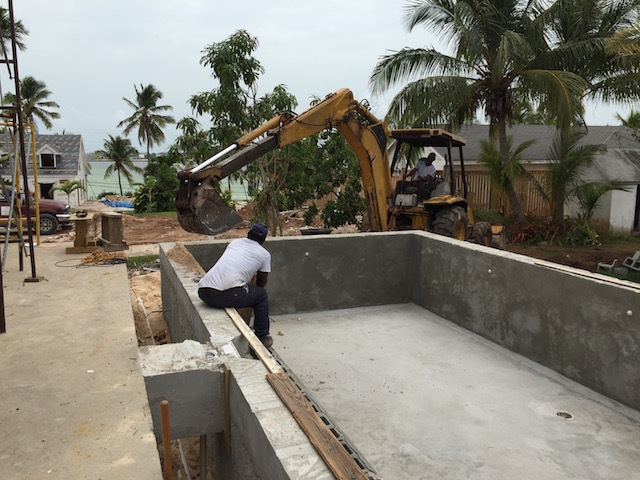 The swimming pool is under construction for Cornerwall House and plans are taking shape for the brand new modern house which will be sited where the old office was – this too will be 3 bedrooms and have it’s own pool as well. Another project we are working on is called Turtle Bay. It is for a client from the UK and is situated on Queens Highway heading south out of Governors Harbour. 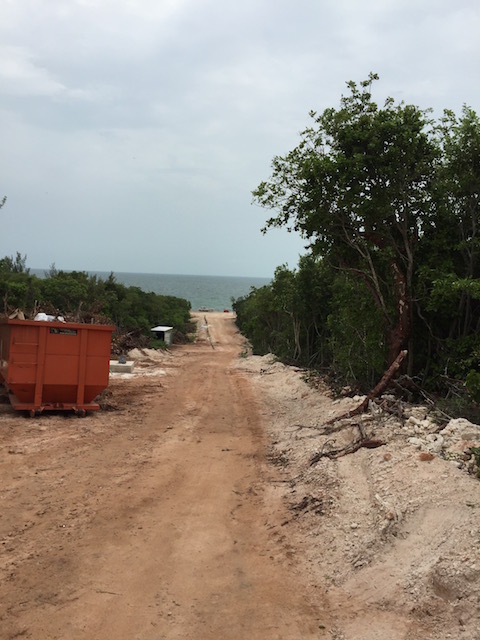 It is a lovely site sloping down to the water on the leeward side of the island and we are constructing 2 brand new houses – one right at the top and the other right at the bottom of the site. 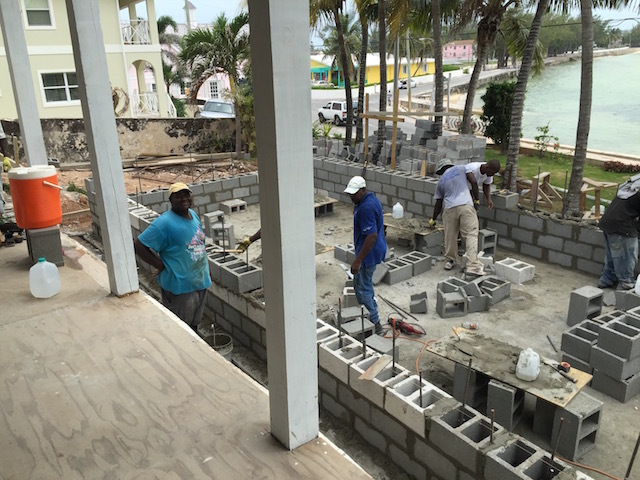 Today on the higher level house the concrete was poured for the slab – and on the lower level the walls are now going up……. The plans are for seven houses on each side – but sensibly starting with 2. 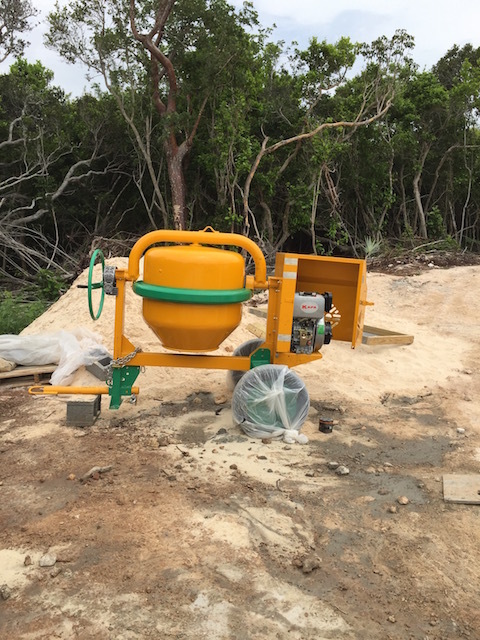 New toy as well – shiny new cement mixer – Bob’s a happy chap ! Bob’s new toy wearing galoshes !!! The third project we are working on is one for ourselves ! 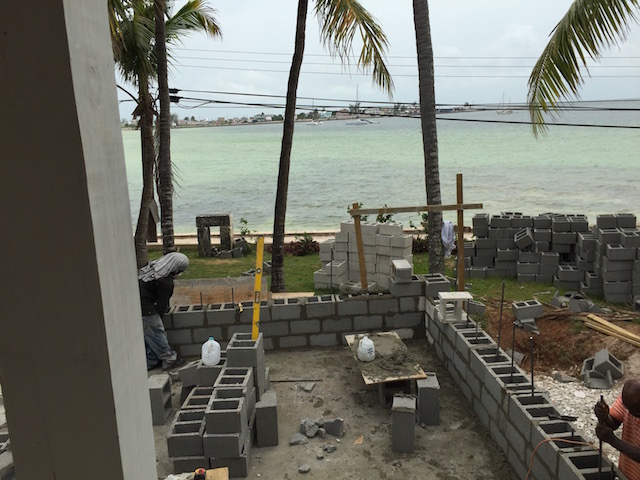 We are building some apartments for vacation rentals – and maybe selling a couple of them. There are 2 buildings – one has 4 apartments in it – two which have two bedrooms and two bathrooms – and two which have one bedroom and bathroom. 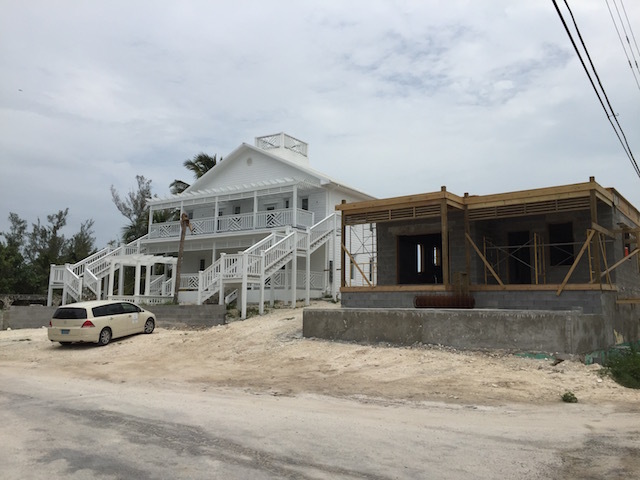 The second building which is the newer construction has two 2 bedroom and bathroom apartments. They all have a lovely view of the water at Anchor Bay – just up the road from where fish fry is held. Plenty of people seem to like the idea of being right in town – able to walk to wherever you want to. I am having a lovely time choosing fixtures and fittings and of course furniture as well. All work and no play makes Jack a dull boy – is that just an English phrase ? – so we are off to Fort Lauderdale and Miami at the end of the week to have a little fun and inspiration. Plus of course eating in restaurants where we have not eaten everything on the menu before ! We are taking a flight with a brand new carrier to Eleuthera – Watermakers Air – see next week’s blog to hear all about it……. Wow, Kathy! So much progress! You certainly deserve a break. Things look great. Sure do miss our little piece of paradise. Have a great week in the U.S. Thanks – you know how much fun it can be !!!! !